This oval shaped Budget Name Badge is all you need to present a consistent professional image while retaining the flexibility of adding and removing individual names easily. This budget name badge gives you a full color imprint of your logo with both sides laminated for easy writing and erasing of individual names. This oval shaped Budget Name Badge is all you need to present a consistent professional image while retaining the flexibility of adding and removing individual names easily. 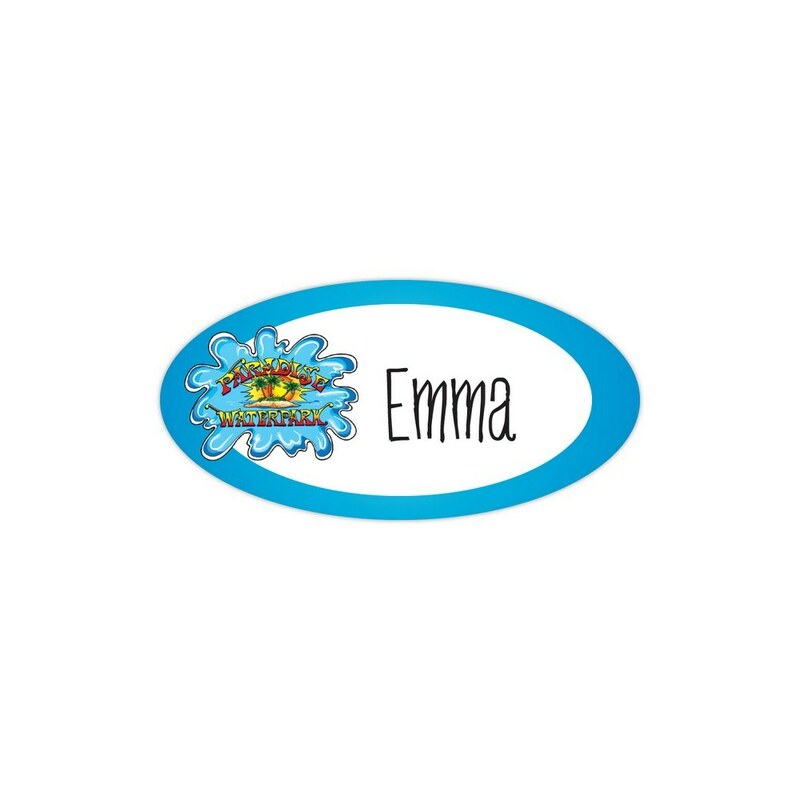 This budget name badge gives you a full color imprint of your logo with both sides laminated for easy writing and erasing of individual names. The standard plastic pinback attachment is adequate for most workplace needs but additional options are also available. Imprint your company logo and make a mark for your brand permanently in the minds of people! The Jada stylus with twist action ballpoint pen includes a metallic colored barrel with rubber grip.